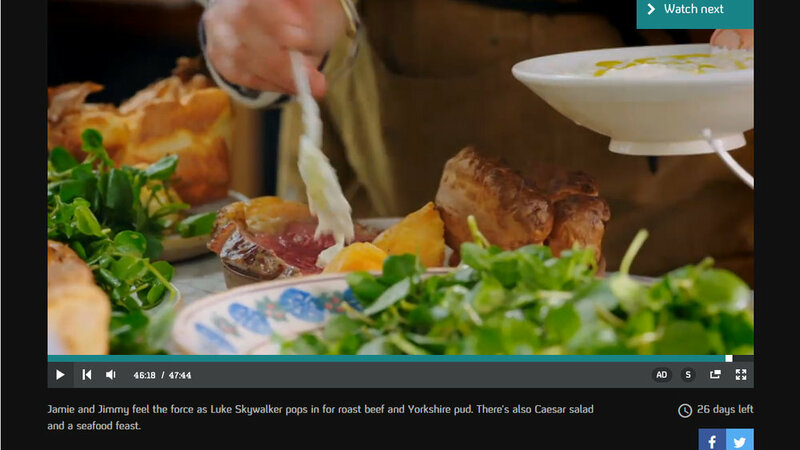 I got a big thrill last week seeing my plates being used in Jamie & Jimmy's Friday Night Feast - I don't think a food programme has ever made me feel so emotional before! We're about the same age so I well remember the impact when Jamie Oliver first appeared on TV, and how exciting it was to see someone as young as he was then doing it his own way. Since then I've really admired the work he's done around school dinners etc so it was great to see that they were keeping up the good work helping out with community food projects that make the most of what would otherwise be supermarket waste. And then of course there's seeing the plates and bowls I made in use. Thanks to Jamie and Jimmy and the backstage team for making it happen. Last year I wrote about the custom bowls I developed for Chef Lee Westcott at the Typing Room, so it's fantastic to see them in use. Even better to hear that his team at the Typing Room made the Top 10 of OpenTable's restaurants of the year 2017. It's great to see them going from strength to strength - congratulations!